It was the mystery of the missing ñeque, I think, that made me realize the extent of the cultural leap I had taken. Before traveling to the San Blas Islands off Panama’s Caribbean coast, I did not even know that ñeques existed. A rodent indigenous to Central and South America, the animal is the size of a large squirrel, but hunched over and without the bushy tail. Just that morning, the resident ñeque had been scampering among the dozen or so guests who were eating breakfast at wooden tables along the beach at Isla Diablo, one of more than 350 powdery-sand islets that are a part of the holdings of the native people of the Kuna Yala Comarca. 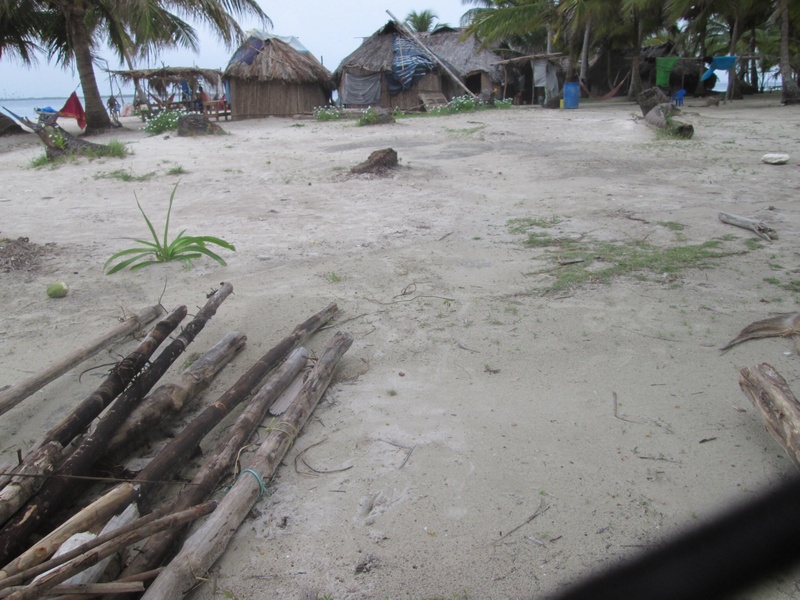 A young Kuna boy scooped the ñeque off the table and carried him to the family hut, talking to him along the way. By evening, however, there was no sign of the curious ñeque. And then, the shocking news: As they served our dinner, our Kuna Yala hosts happily announced that ñeque was on the menu that night. At first, my fellow guests and I were skeptical. But one look at the small slabs of jerky-like meat on our plates made us believers. It certainly was not beef or any other familiar meat. And as some of the guests tasted the meat, the consensus quickly formed that the friendly ñeque had indeed become our dinner. Several days before, I had traveled with a friend to Panama to visit her daughter, a Peace Corps volunteer in a remote Comarca of Panama. We were in search of adventure, and we found it in our visit to Diablo Island. It certainly was not an easy trip. Leaving Panama City before sunrise, we had taken a two-hour van ride over rough roads, before switching to a small boat docked at a remote inlet. A one-hour boat ride brought us to Diablo Island, where we discovered our lodging in a bamboo hut, complete with air mattresses arranged on the sand floor. With no plumbing or electricity, the visit was rustic, to say the least. But the beauty and serenity more than made up for any inconvenience – the startlingly blue water and vivid white sand perfectly complementing the swaying coconut trees. Add to the stunning scenery plenty of interesting company, and we had the makings of an unforgettable stay. Along with our group of three, the guests included a Swedish couple, an Italian couple, two women from Portugal, and another American. Because we took our meals together, the group had plenty of time for chatting, and talk quickly turned to world events. Switching from Spanish to English and back again, the young backpackers touched on everything from South American politics to Arizona’s tough immigration policies to the state of health care around the world. All of this was interspersed with entertaining topics such as “The Girl with the Dragon Tattoo,” and past traveling experiences. (Most of our fellow guests were in the midst of months-long travels through South and Central America). The adventure did not end with our two-night stay on the island. Halfway through our boat trip back to the mainland, we spotted a man waving frantically to us from a dilapidated-looking boat. Wearing only a dirty towel and sporting long locks of unwashed hair, the man brought to mind Kurt Russell’s mangy character in the movie, Captain Ron. Our Kuna hosts stopped and soon were engaged in a drawn-out negotiation with the man, resulting in a price for a ride to the mainland. 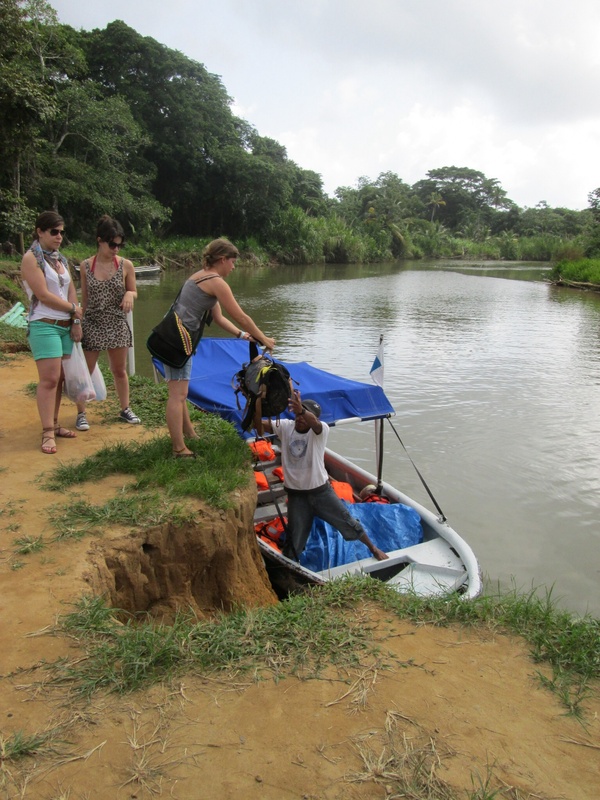 After a half-hour wait while the man battened down his boat, we learned that not only would he be joining us in our small wood dugout boat, but his young German girlfriend and their five-month-old baby as well. During the remainder of the ride, we learned that the German girl had met her Canadian boyfriend while traveling through Panama the previous year. 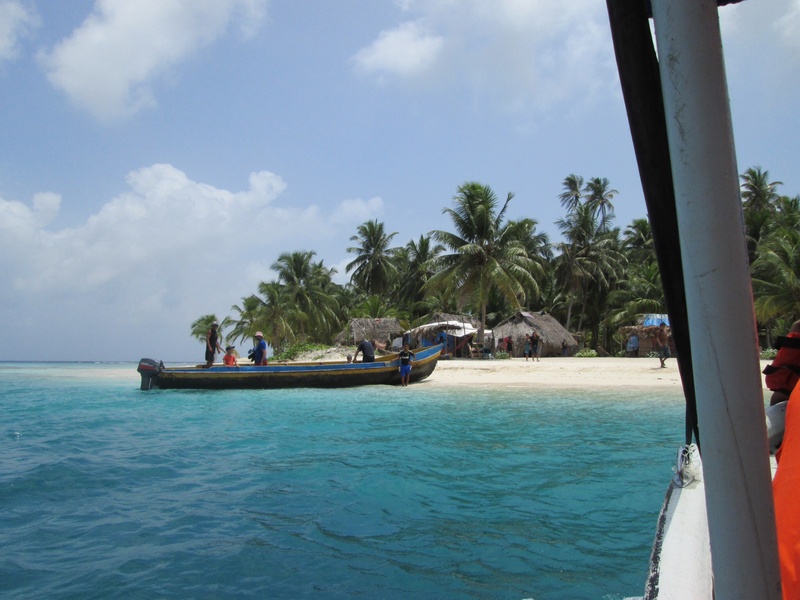 They bought a boat from another young couple and began offering tours through the San Blas Islands. They lived on the small boat throughout her pregnancy, and the baby was born at a health center on a nearby island. Because of the island birth, the baby was considered to be Kuna, and the couple named their son Wabi, the Kuna word for dolphin. 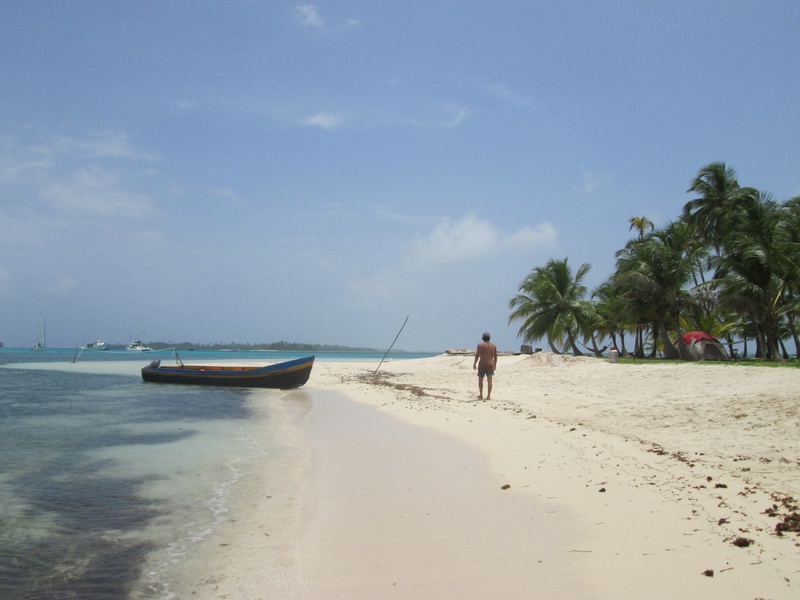 The interesting conversation was just one more surprise in what turned out to be a truly eye-opening trip to Panama’s hidden gem – the San Blas Islands.